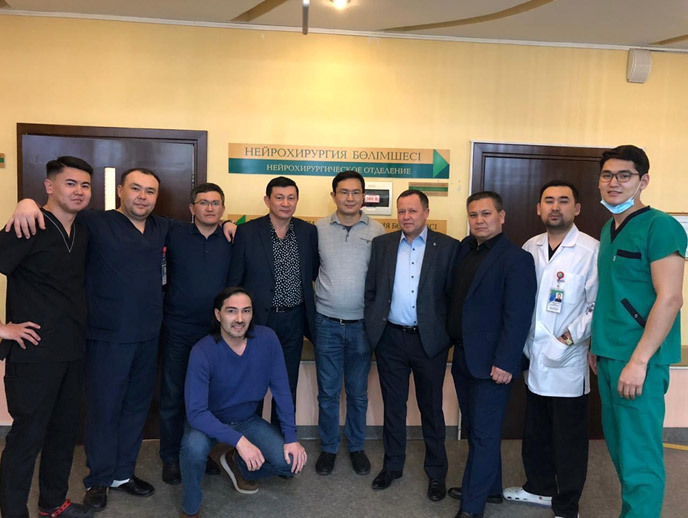 On March 2, 2019, during the International Symposiumthat was organized by «MicroVention» , Inc., masterclass “Endovascular Treatment of Cerebral Aneurysm and Carotid Stenosis” was held at the Central Clinical Hospital of Almaty (Kazakhstan). 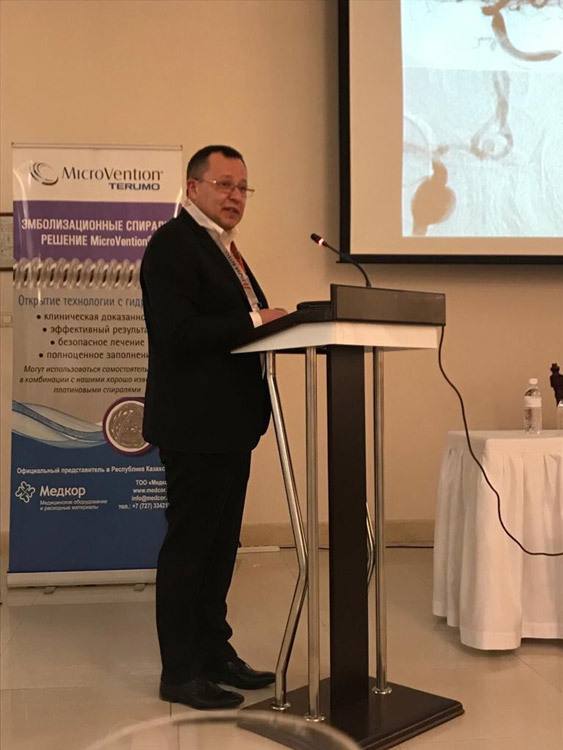 Director of the Scientific-Practical Center of Endovascular Neuroradiology», Head of the Educational Program of Interventional Neuroradiologists of Ukraine d.m.s. Shcheglov D.V. 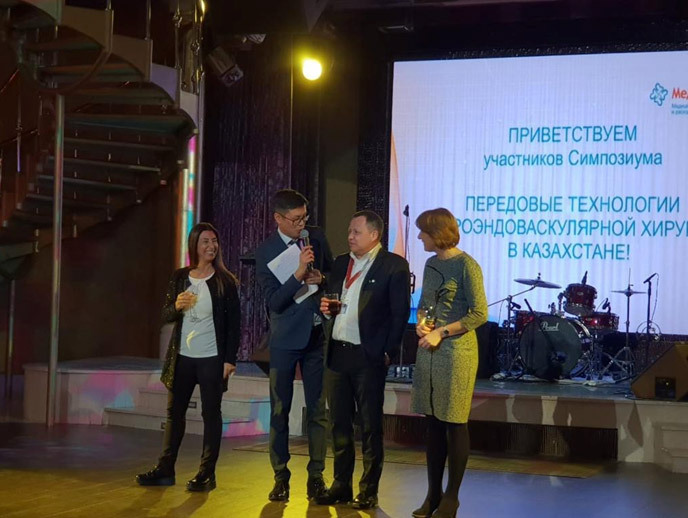 was invited as honored speakers, considering Ukrainian efforts in the field of endovascular treatment of cerebral aneurysms, that include several thousand cases during the last 30 years, one of the largest in Europe. 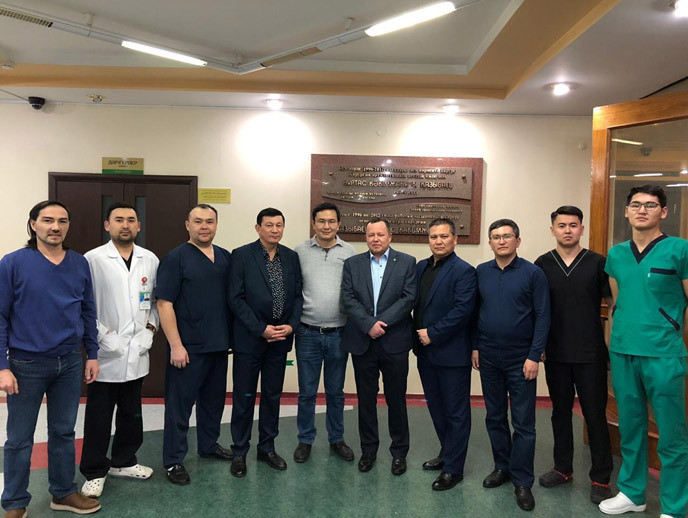 The aim of the masterclass was experience exchange between neuroradiologistsfrom Kazakhstan, Italy, Ukraine and Latvia. The topic of lectures was the usage of various technical devicesfor endo-vascular treatment of congenital and acquired pathology of the cerebraland spinal vessels, in particular aneurysms, AVM, and others. The current view on the use of noninvasive technologies in neurosurgery according to international guidelines were highlighted and discussed.